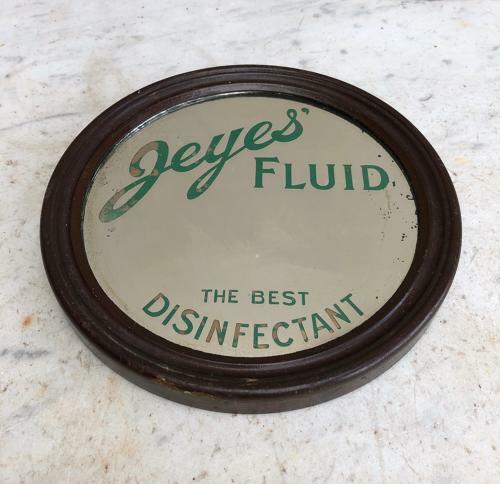 Completely Original Early 20th Century Shops Advertising Mirror for Jeyes Fluid. "JEYES' FLUID. THE BEST DISINFECTANT"
I have left the paper on which is over the backing board as it shows the origial label saying it isnt for sale and the propery of Jeyes Fluid etc. Easily taken off though.